If there’s any hope for Sara Lance, Team Arrow will need to seek some outside help this week. And as the show continues to explore the mystical elements of the DC Comics universe, help comes this week in the form of none other than John Constantine (guest star Matt Ryan). 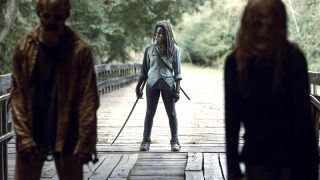 Also this week: The mood inside Alexandria is grim on The Walking Dead, while Nick has to step up to protect Adalind and his new child on Grimm. On Heroes Hiro and Angela take on a crucial task that could one day save the planet, and Penguin plots his revenge on Galavan for kidnapping his mother on Gotham. 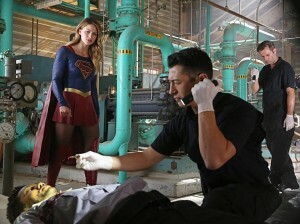 Meanwhile Supergirl kicks off the week with its second episode, as Kara must put aside her doubts about herself in order to capture another Kryptonian prison escapee. “Mommy’s Little Monster.” Butch leads Penguin and his men to the warehouse where Gertrude is being held, as Penguin plots his revenge on Galavan for kidnapping his mother. Meanwhile, Nygma deals with the aftermath of a deadly accident. “Stronger Together.” When Kara’s attempts to help National City don’t go according to plan, she must put aside the doubts that she — and the city’s media — has about her abilities in order to capture an escapee from the Kryptonian prison, Fort Rozz. Also, Cat pressures James to use his connection to Superman to get her an interview with Supergirl. “Honor Among Thieves.” Dash endeavors to investigate a murder on his own, but when things don’t go as planned, Vega is forced to reluctantly recruit Arthur and his underworld connections to help out Dash. Meanwhile, details of Agatha, Arthur and Dash’s pasts are uncovered. “The Darkness and the Light.” Barry learns a new breacher, Dr. Light, has come through the portal and sets off to capture her. Jay tells Barry that Dr. Light was not a threat on Earth-2 and that Barry can reason with her. 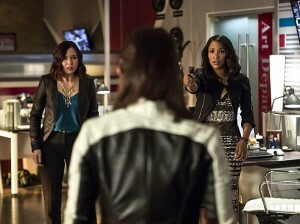 However, during a fight with The Flash, she blinds him and drops some shocking news about Zoom. “Among Us Hide …” The stakes get even higher as Hunter and May continue to go after Ward and Hydra, and Daisy and Coulson begin to suspect that the ATCU may be keeping a big secret from S.H.I.E.L.D. 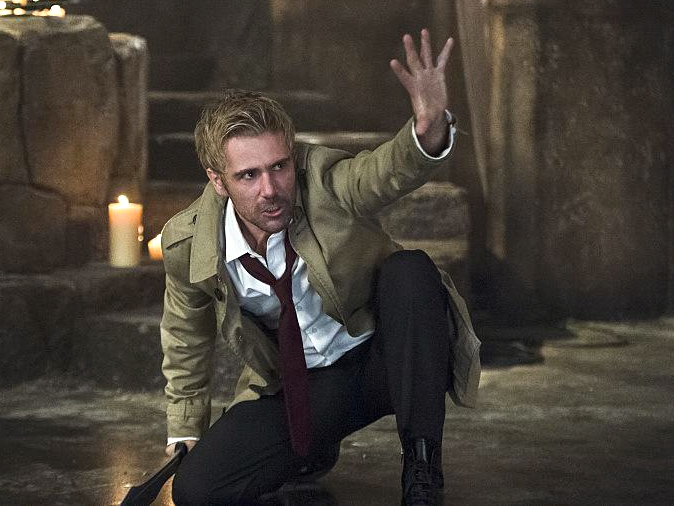 “Haunted.” When things take a turn for the worse with Sara, Oliver calls in a favor from an old friend who deals in the mystical, John Constantine. “June 13th, Part 2.” In the wake of an unspeakable tragedy, Erica Kravid puts her dark plan into motion with Renautas. Hiro and Angela are tasked with an important mission that could change the course of humanity. In Odessa, a distraught Luke and Joanne come to realize their tragic mission after the loss of their son. Meanwhile, Noah Bennet has an unexpected reunion with Matt Parkman. 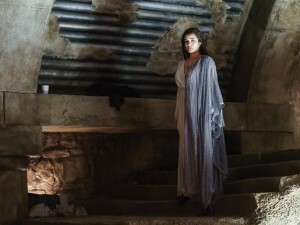 “This Red Lady from Caribee.” When Pandora unleashes an iconic monster to haunt the residents of Sleepy Hollow as they sleep, Abbie and Jenny are tempted to confront a painful part of their past. Meanwhile, Abbie makes a crucial decision for her career and Crane does his best to guide her with wisdom from his own experiences. 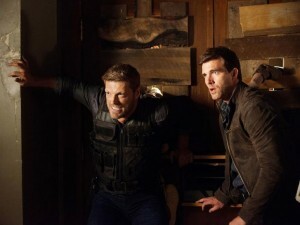 “Perditus.” Nathan receives otherworldly aid as he tracks down a killer; Duke receives a terrifying vision of Haven’s future. “Clear and Wesen Danger.” On the heels of becoming a new father, Nick must make some major changes to keep his child and Adalind safe. Monroe and Rosalee step in to help prepare for the new addition. Meanwhile, Capt. 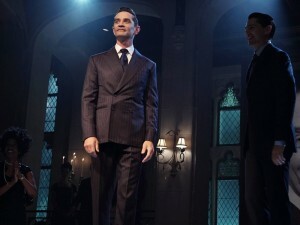 Renard assigns Hank a new partner as they investigate a brutal murder at an investment group. 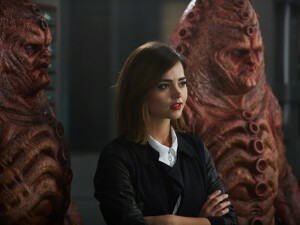 “The Zygon Inversion.” Shapeshifting Zygons are everywhere in the UK, and there is no way of knowing who to trust. With UNIT neutralized, only the Doctor stands in their way. But how do you stop a war? And what can the Doctor do to save his friends? “Nimue.” In Camelot, Merlin spearheads a mission to reunite the dagger with Excalibur so he can use the weapon to save Emma from the darkness threatening her soul. With Zelena in tow, Hook, Mary Margaret, David, Regina and Robin steal into Arthur’s castle to take the broken sword from the maniacal king. In a flashback to long before the Age of Arthur, young Merlin finds purpose after he is blessed with magic and immortality, but when he falls in love with a young refugee named Nimue, everything changes. “And What Lies Beneath the Stones.” Stone, Cassandra and Ezekiel have a proper team-up for the first time in months when they investigate a cave-in at an oilrig site, which has unleashed Hokolonote, a shape-shifting god who grows in strength any time a lie is told. Now the Librarians have to come clean to each other, airing their issues and solving the riddle of the ancient prison that held Hokolonote. “Now.” Following a number of setbacks, the mood in Alexandria grows grim for the sheltered citizens.